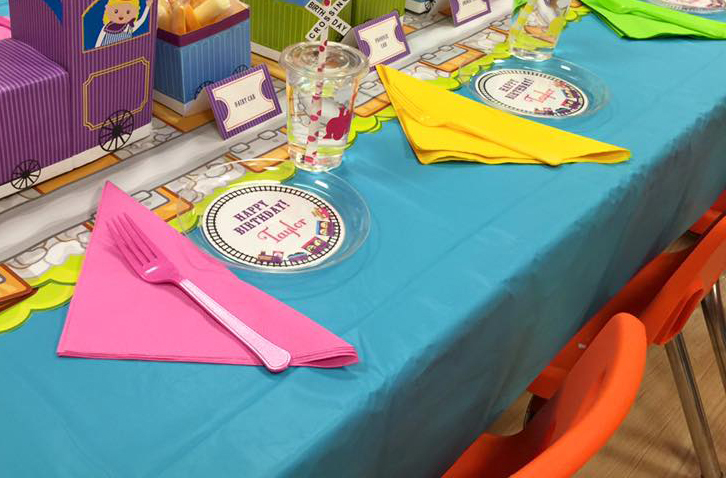 Here's how to make your own customized DIY party plates! You can make them using my 4.6" party circles or any custom design that fits the space. 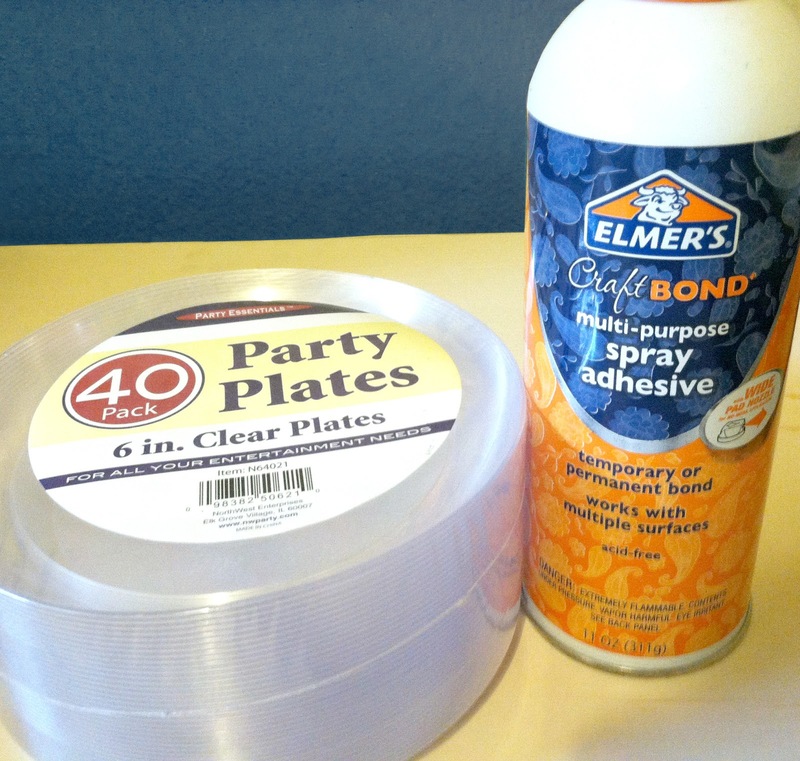 To make your DIY party plates, first print your party circles. I printed my circles with a local printer, and asked for basic color copy prints. The paper they used works great for the plates. I have yet to run into a paper that doesn't "take" the clear adhesive. 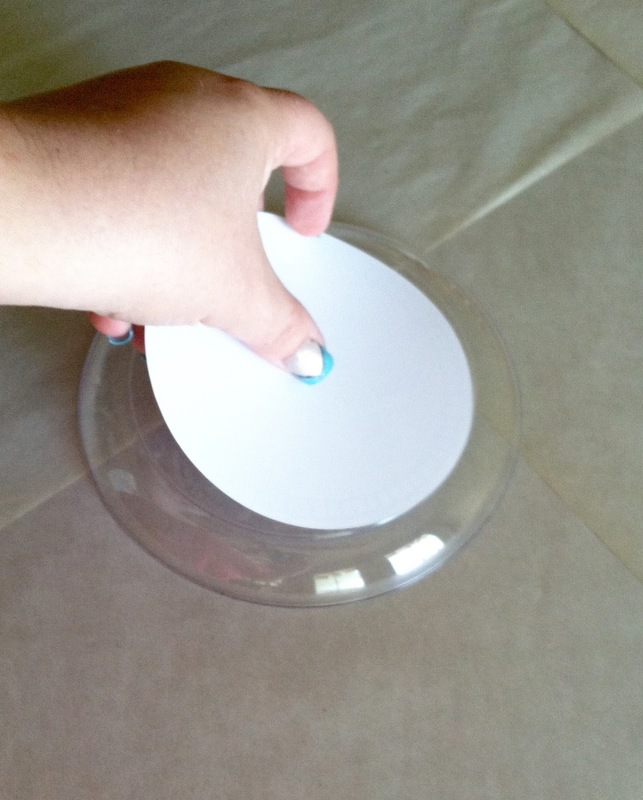 Measure the inset of your own clear plates to double check the circle size. 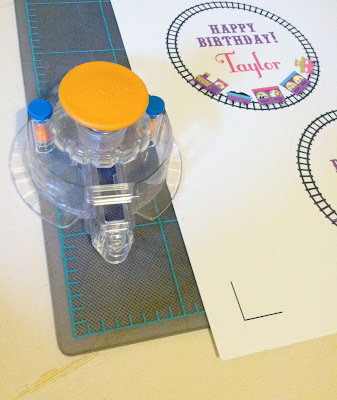 Use a circle cutter or scissors to cut out the rounds. Mine measure 4.6" exactly. I've used this circle cutter from Fiskars for years, and I love it cause it's so easy to adjust and it cuts well. 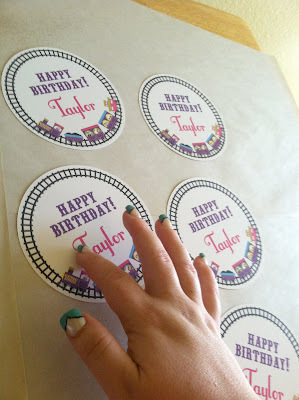 After making sure the rounds fit the clear party plate inset, cut out all your plate circles. Choose a well ventilated area (outdoors is perfect!) and cover your workspace well when using the spray adhesive. I used packing newsprint to cover my workspace. Old newspaper, and butcher paper also work well. Lay out all your DIY party plates circles FACE UP. 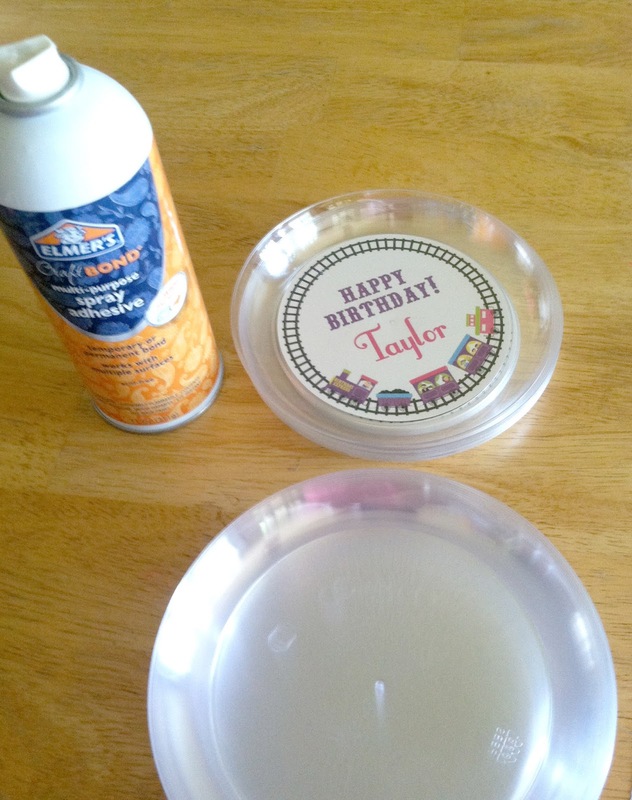 Spray the tops of the circles with the spray adhesive, following the guidelines on the bottle for distance and tilt. Don't spray too close or you can get bubble marks when attached to the clear plate. Using one finger - this will become your "sticky" finger for the task - pick up the circle and place it upside down on the back of a plate to adhere the circle to the your clear DIY party plate. Give the backside a little rub to secure the adhesive. When you are done, your customized party circle will show through the front of the DIY party plate! The clear adhesive should dry completely clear. The sticky surface left from your first batch, makes a mess if it gets on the backs of your plates! So, if you're spraying lots of diy party plate circles, be sure to lay down more newsprint between each batch of party circles. It's really fun and easy to make a batch of DIY party plates for your parties once you know how! These plates were made for a train party. The bright colors the hostess decorated with around her clear party plates is super adorable, don't you think?